North East Asia has SO much to offer, from incredible cities to rich history and architecture to amazing food! 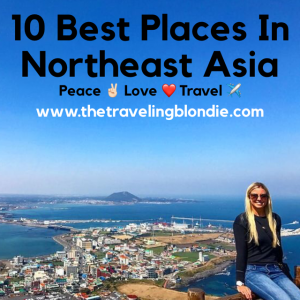 I’ve highlighted the TOP places to see in all of Northeast Asia for you to enjoy! We were blown away by the beauty of Taroko Gorge. It reminded me of the Grand Canyon of Taiwan. If you’re going to this great country, then do not miss out on this place! 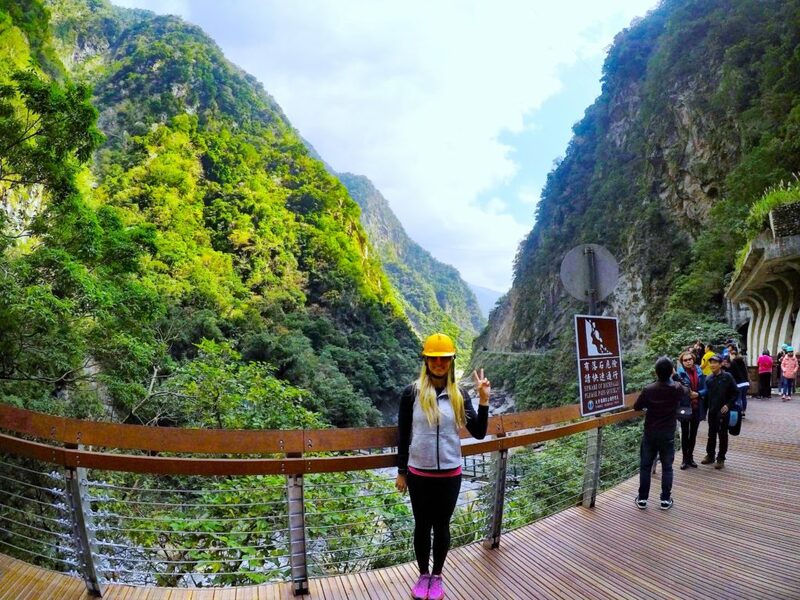 For more info about Taroko Gorge, check out my Blog Post or Video! I have to be honest with you…we REALLY didn’t like the city of Beijing, but we LOVED The Great Wall and The Forbidden City. So, if you’re going, make it a quick trip to see the top sights and spend more time elsewhere. 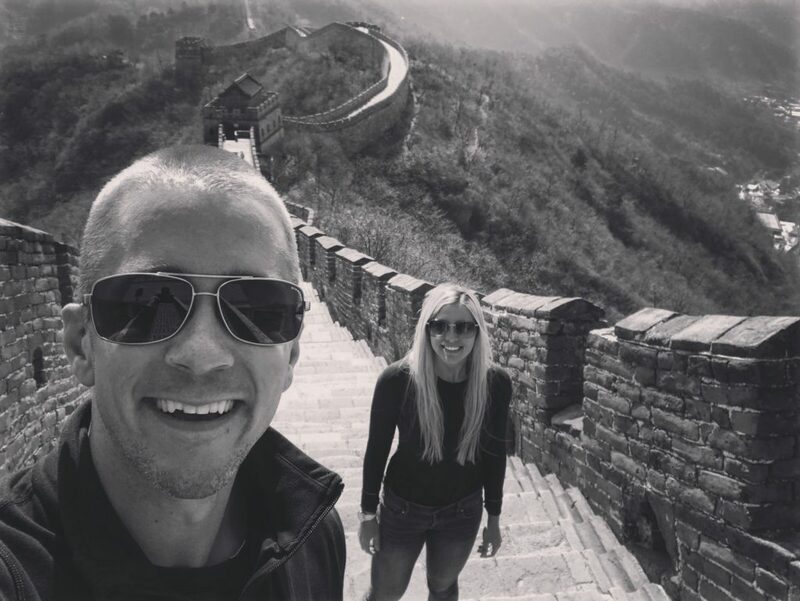 For more info on our trip to Beijing, check out my Blog Post or Video! Hokkaido And Niseko Are Absolutely Gorgeous! After reading through my blog, I’m sure you’ll have a great understanding of my OBSESSION with Japan! 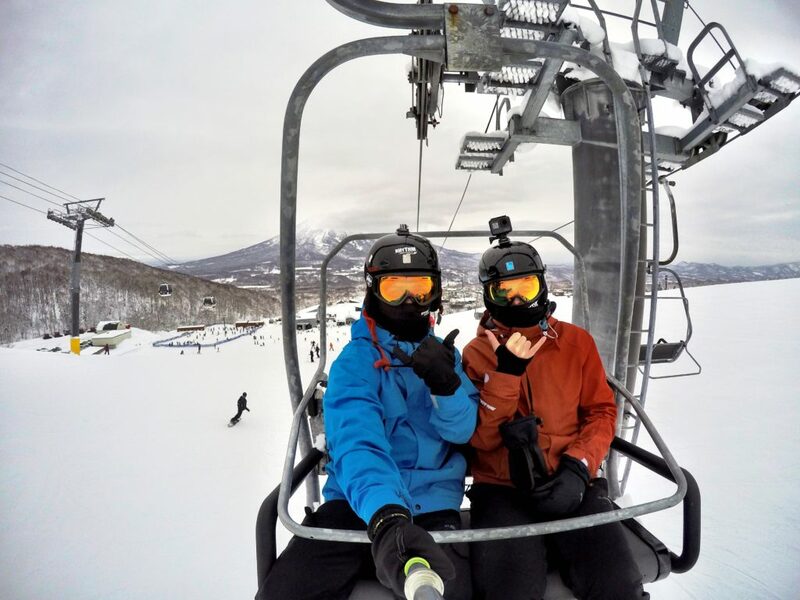 Niseko is such an AMAZING town and the snowboarding there is pristine, so don’t miss it! For more information about our epic trip on the slopes in Niseko, check out my Blog Post or Video! 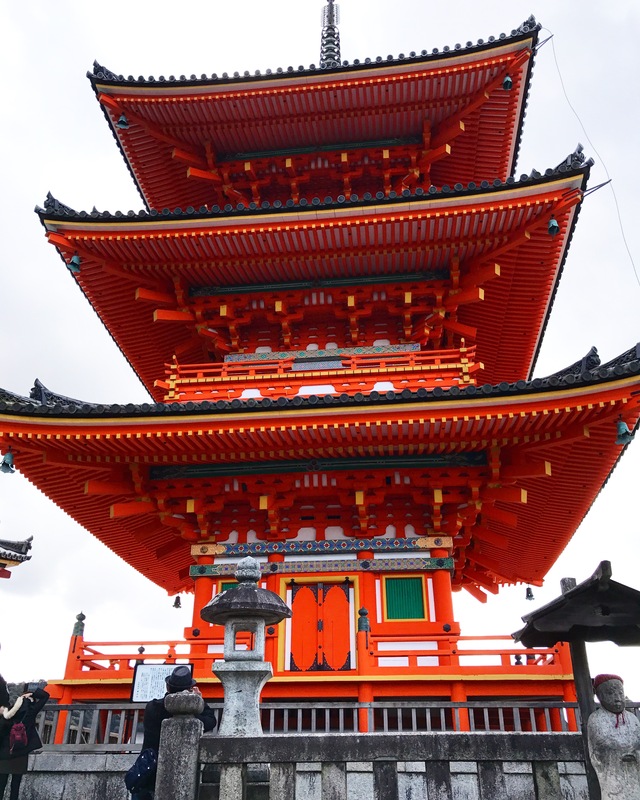 Kyoto Has SO Much History, You Cannot Miss It! 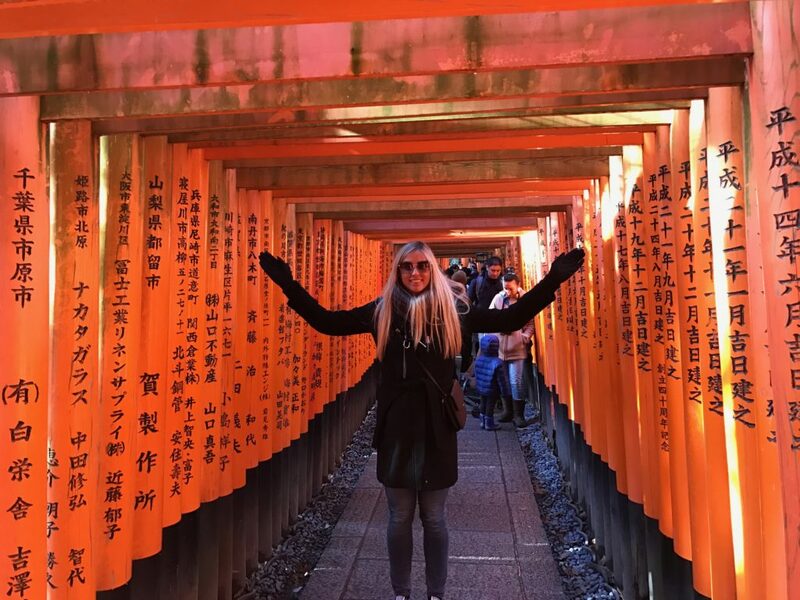 One of the top sites to see in Kyoto, Fushimi Inari (Inari is the God of rice) is a Shinto Shrine that sits at the base of Inari mountain and is filled with thousands of tori (shrine gates), all donated by Japanese businesses. For more details about Kyoto, check out my Blog Post! 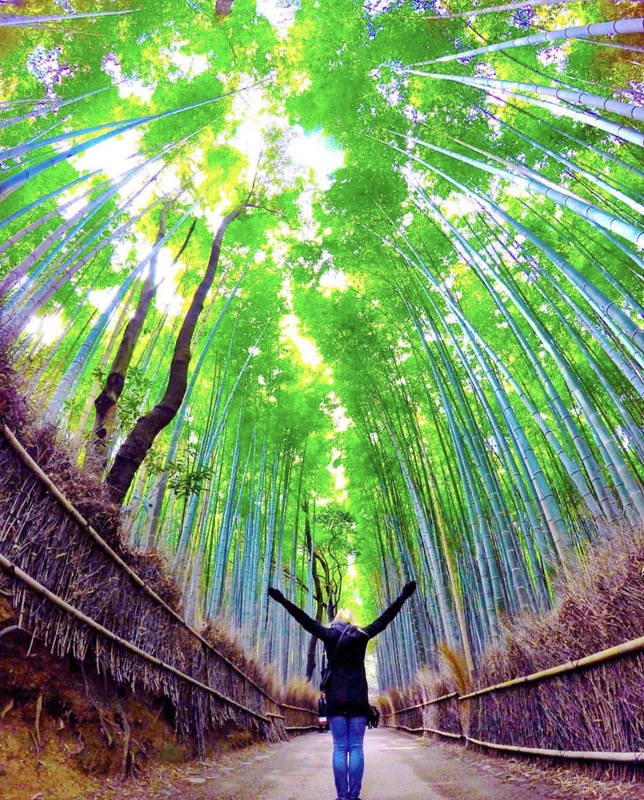 Arguably the most popular tourist attraction in all of Kyoto, this forest entirely surround with tall bamboo stalks, is like being in a dream. 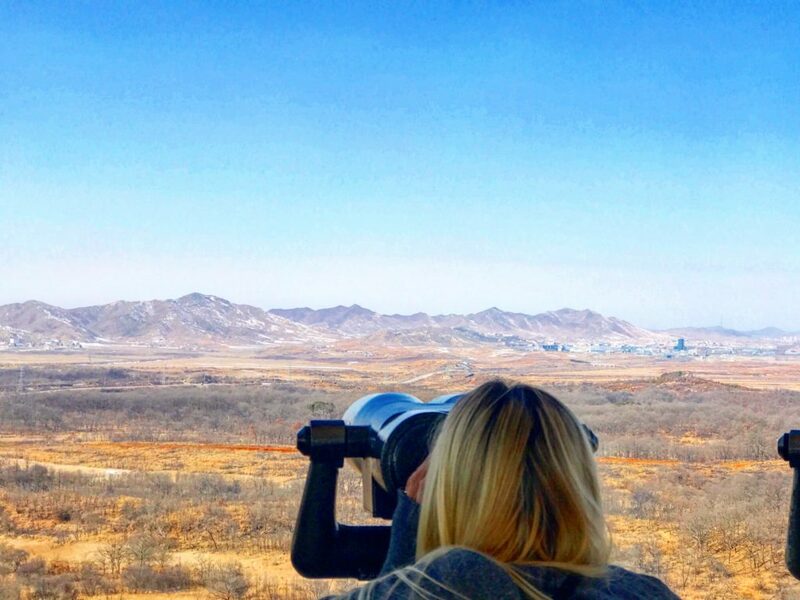 The DMZ is such an eerie, mysterious place and, after learning further all the tension between North and South Korea, you get a real sense of just how much the South longs for unification and peace. For more info about Seoul, check out my Blog Post or Video! One of our top favorite sites in all of Kyoto and a UNESCO World Heritage Site, Kiyomizudera Temple (meaning Pure Water Temple) was constructed in 780. Be sure to see the Ottowa Waterfall at the base, where visitors can use cups attached to long poles to drink from them. TIP: Go first thing in the morning when they open, it gets crowded in the afternoon! Tokyo will forever my heart. The food, the people, the architecture and history…oh I just could spend the rest of my life there! 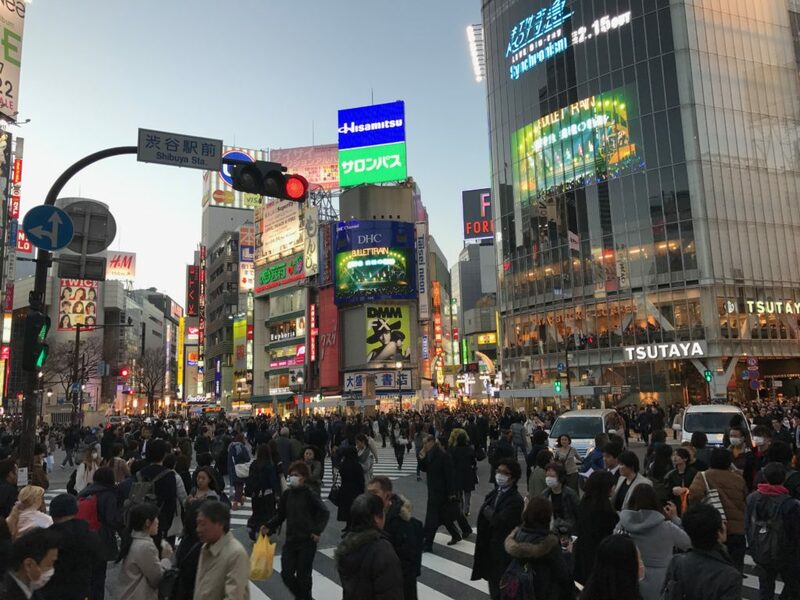 Shibuya Square is a site to see, as more than 2,500 people cross at one time-totals out to more than 1,000,000 people per day! TIP: There’s a Starbucks on the second floor that’s perfect for taking photos, videos and time lapses of the crossing, if you’re lucky enough to get a front row seat! TIP #2: see the crossing at both day and night. For more info about, Tokyo, check out my Blog Post! 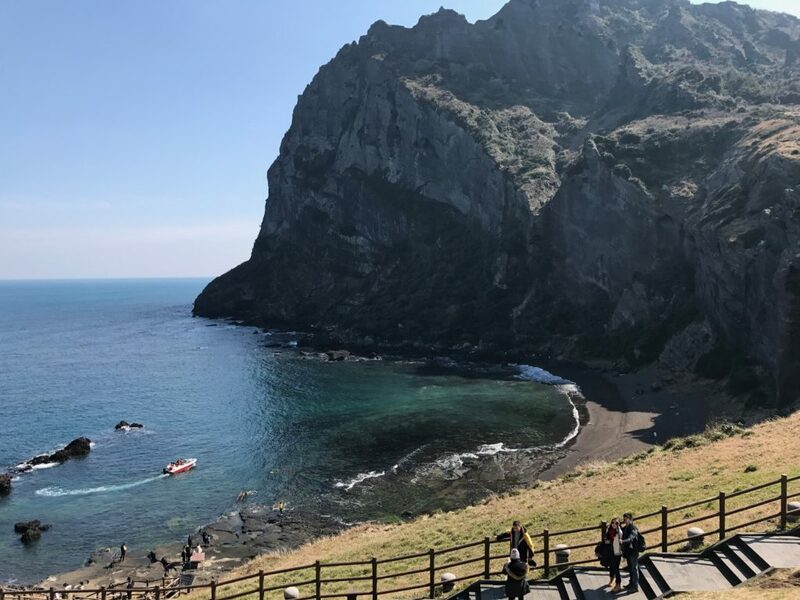 Jeju island is called the ‘Hawaii of Asia’ and, after you visit, you’ll totally understand why! It’s truly breathtaking! Formed by a volcanic eruption in the middle of the ocean, Seongsan Ilchulbong is a UNESCO World Heritage Sight. It takes about 30 minutes to hike up steps to the top, but be sure to do so for some epic views of the city, ocean and the large crater at the center. It’s one of the most beautiful places we’ve ever been! You also have the option of staying extra time to watch the incredible Women’s Diver Show, which shows twice daily. 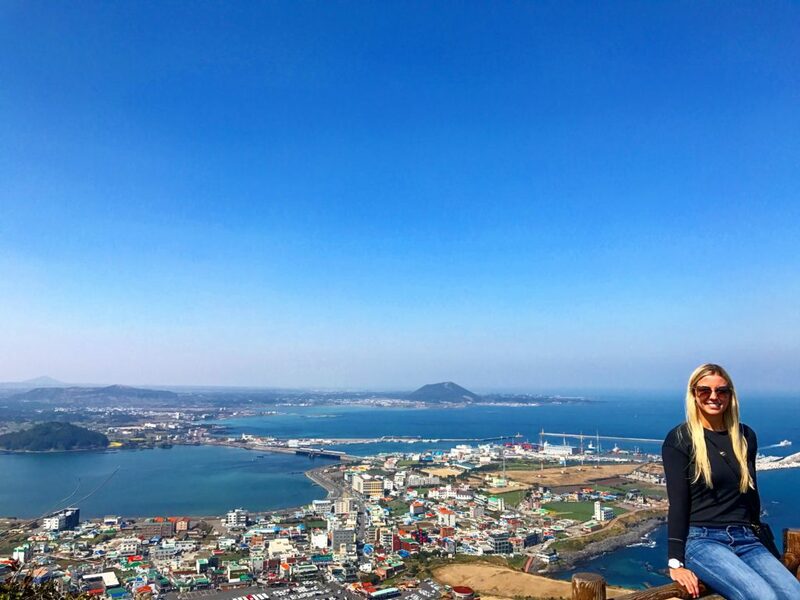 For more info, check out my Blog Post about Jeju Island! The Great Wall Is TOO Epic To Not Be My Number One! The iconic Great Wall!!! Did you think it would be number one on my list? If time and budget permit and you want to go to a section of the Great Wall of China that is not overrun by tourists, then head 40 miles (65km) north of Beijing City to the Great Wall at Mutianyu. Be SURE to leave Beijing very early (6:30am) for the 2+ hour journey there. 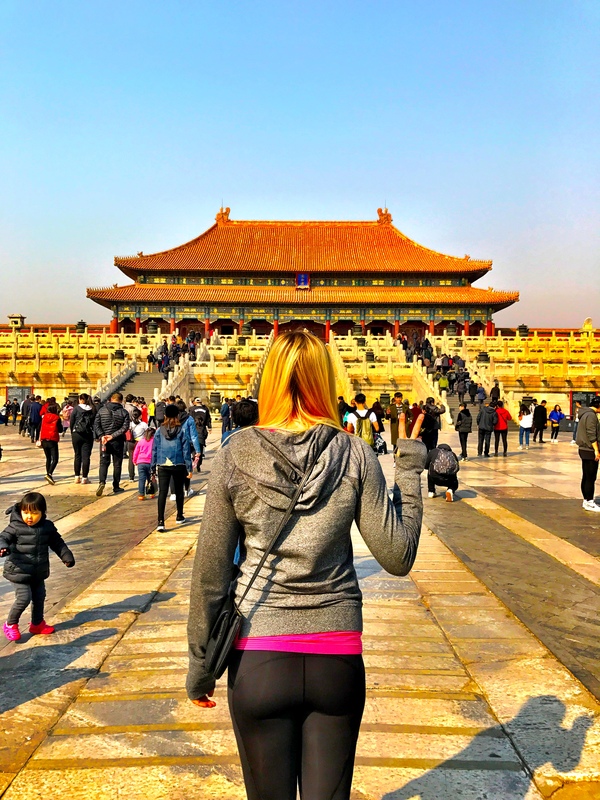 For more info about our trip to Beijing, check out my Blog Post!